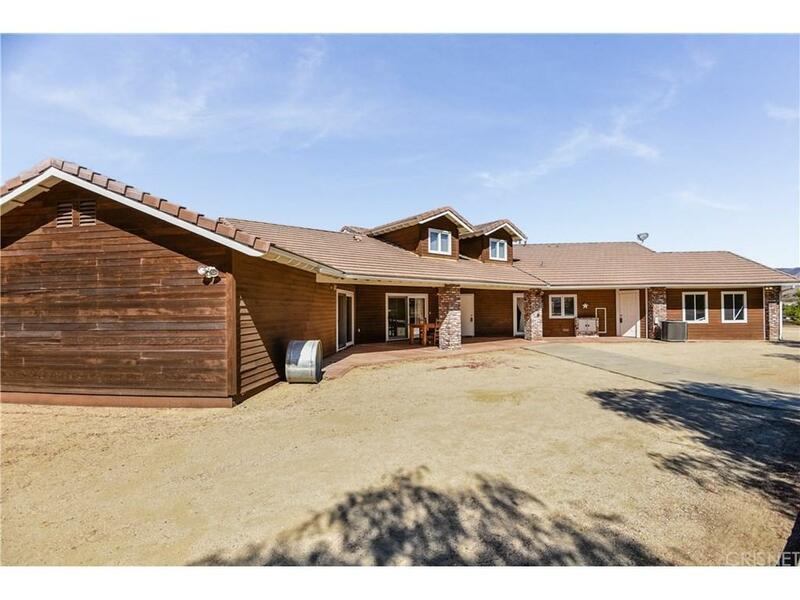 Amazing views from this incredible horse property w/ guest quarters. Main house is 2 bedroom single story plus large loft (could be 3rd BR) and bathroom. 2 bedroom, 2 bath guest house was recently constructed in one half of the breezeway barn. Guest quarters has full kitchen, family room, washer/dryer and climate control. Other half of barn has 5 stalls and corrals and property has a fully fenced pasture. Main house features kitchen with granite counters, built in oak cabinet faced refrigerator and dishwasher, Island with cooktop, double oven and built in microwave. Flooring is hardwood thru-out the kitchen and formal dining room. The large master suite has a huge dual room walk in closet, and bathroom with jacuzzi tub and his & her toilets. Upstairs loft has a full bathroom and access to large attic storage. 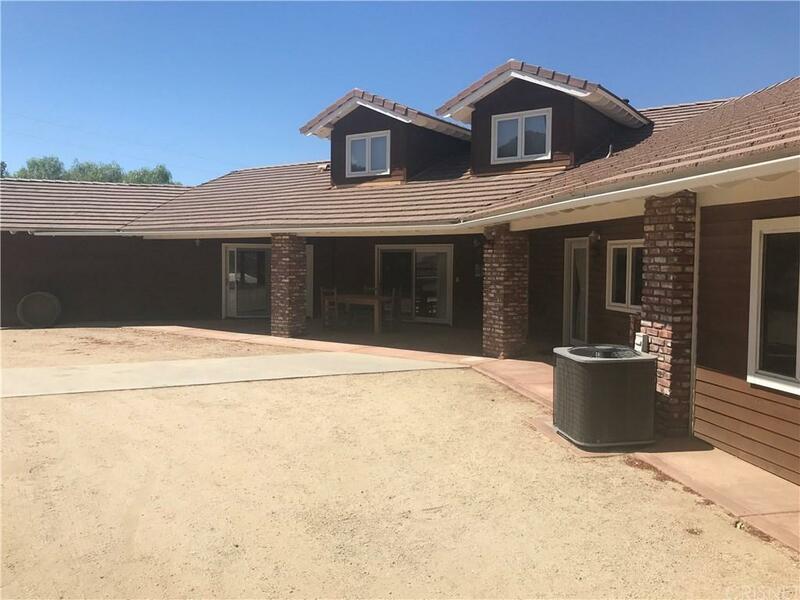 There is a large covered patio out back and amazing sunset views off the front patio/fenced front yard. Built and formerly owned by renowned horseman Montie Montana. 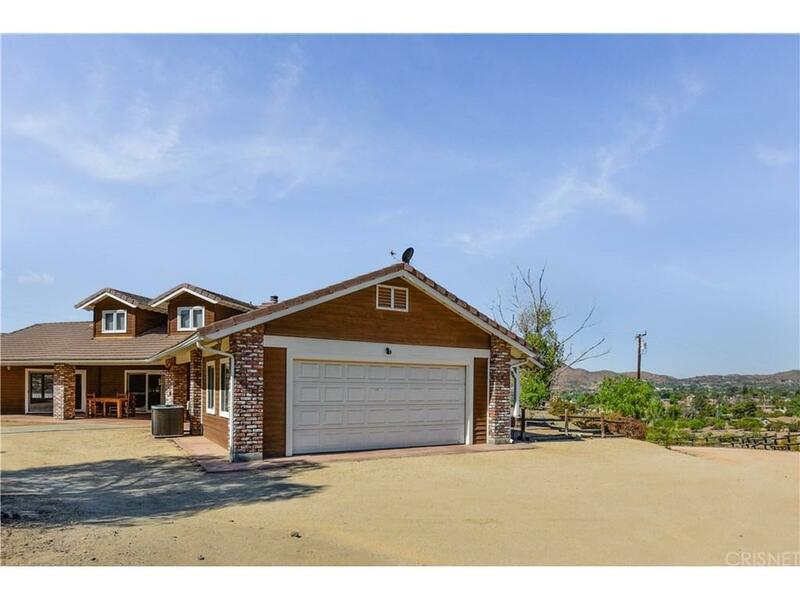 Sold by Michael Johnson BRE#01047928 of Nonmember Officedefault. Listing provided courtesy of Brian Palmer DRE#01047928 of Re/Max Of Valencia.